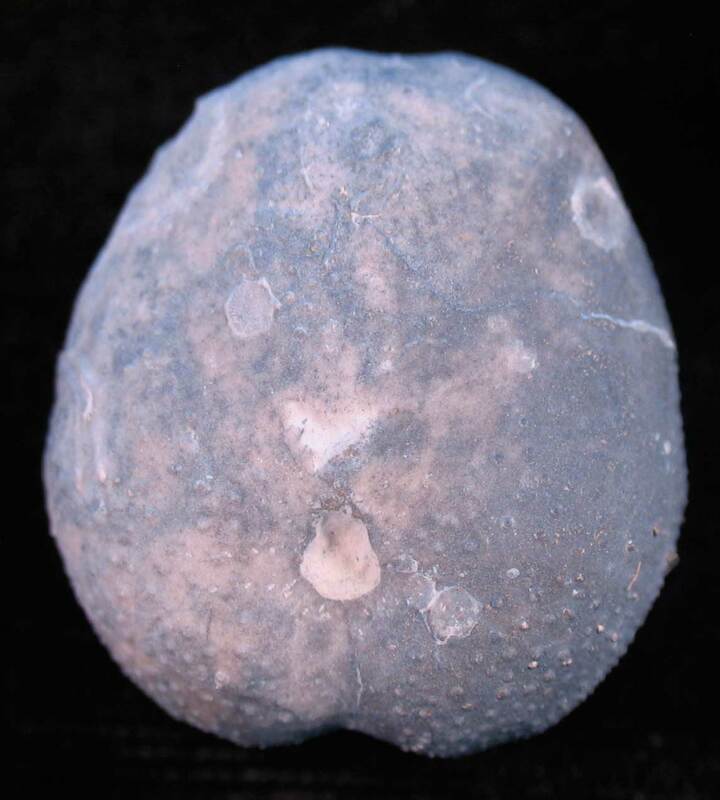 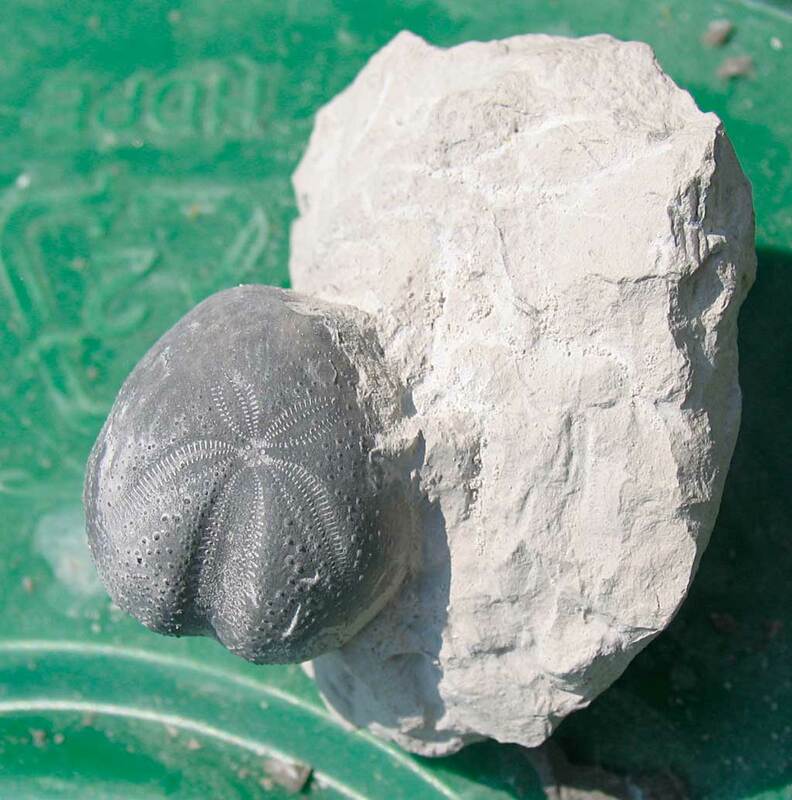 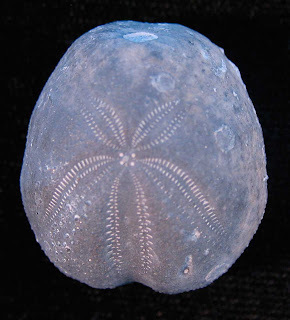 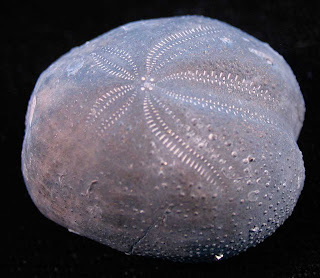 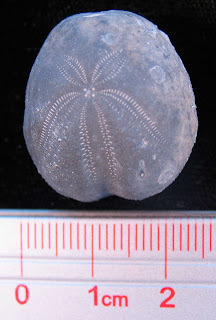 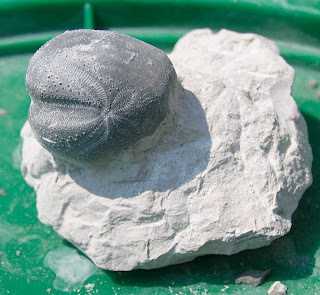 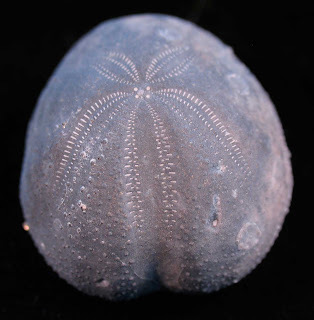 This unidentified echinoid appears to be from the Cretaceous of Texas. 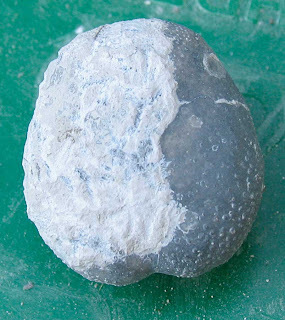 It was extracted from a chalk matrix by me and sand abrasive cleaned by my cousin Kenny. The chalk like matrix breaks off in chunks pretty easily with the engraver. The soft matrix was removed relatively easy with the abrasive cleaning. 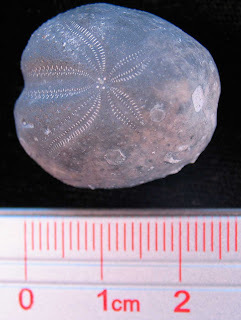 It belongs to Dave over at Views of the Mahontango blog and he later may provide more info about it. 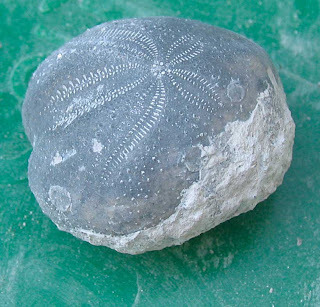 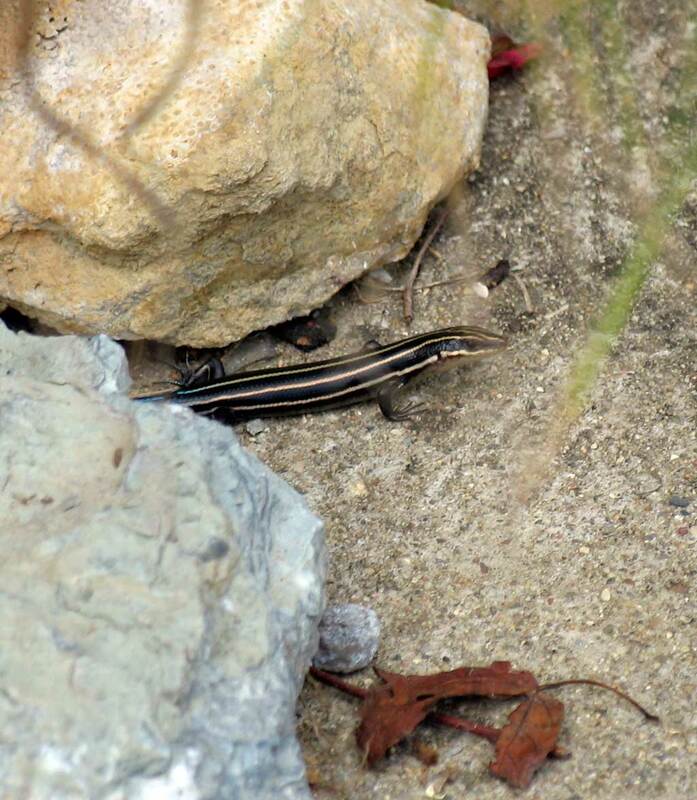 This little creature would pop up from time to time while the fossil was being engraved out of the chalk matrix. 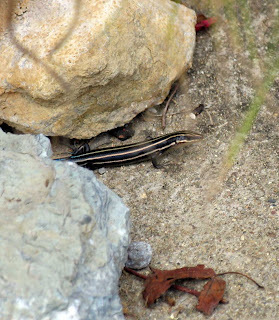 It had an amazing blue tail which I could catch a photograph of. 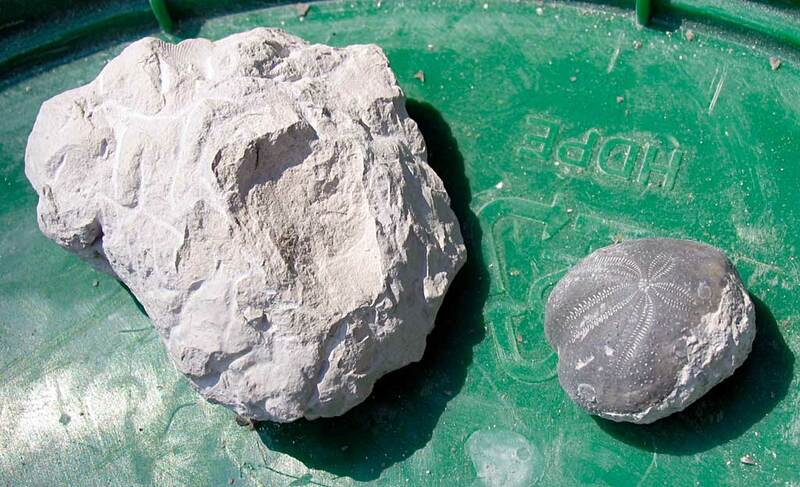 Next three images show matrix on fossil before it was abrasively cleaned.